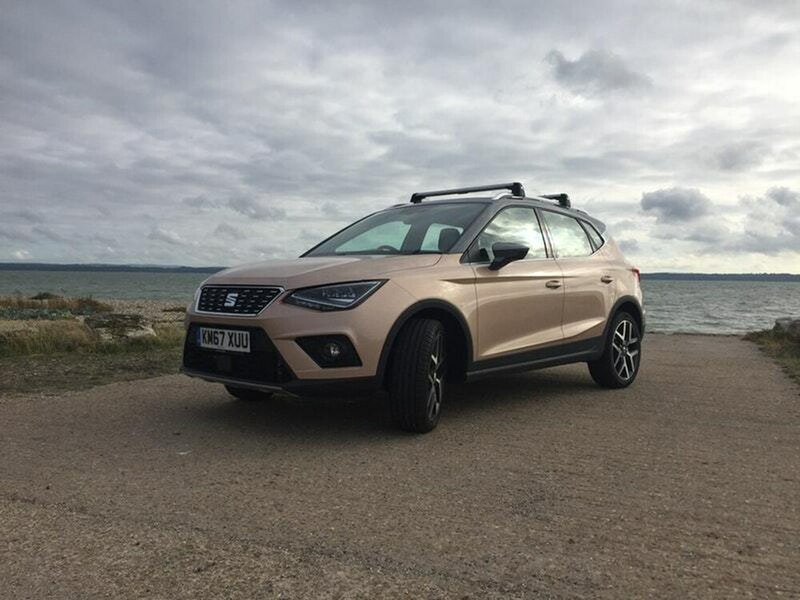 When you’re behind the wheel of our long-term Seat Arona, it’s easy to forget how little experience the Spanish manufacturer had of building SUVs until recently. In fact, its first such offering – the larger Ateca – only arrived in showrooms two years ago. Its blend of dynamism, comfort and connectivity instantly won it legions of fans – and the prize for being the What Car? Small SUV of the Year for 2017. Fast forward a year or so and the Arona was the new kid on the block. It received just as rapturous a reception and even won the same award for 2018 (in the £16,000-£20,000 price bracket). Spanish eyes would definitely have been smiling at such a double triumph. 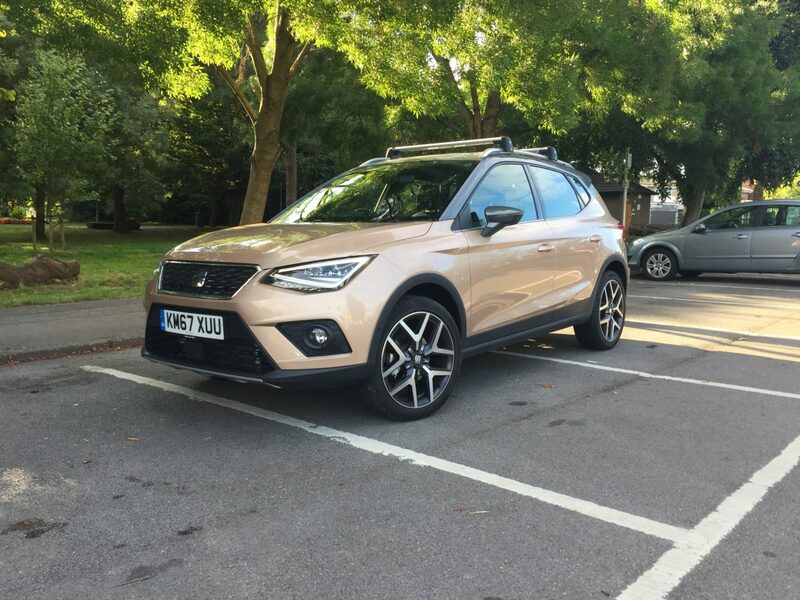 It’s not difficult to see why the Arona has been a hit – it really does tick an awful lot of boxes when it comes to the engine range available, design, connectivity and comfort. Recent weeks have seen me take KM67XUU on journeys it must be pretty familiar with by now. From my home on the South Coast, the weekends tend to involve trips to Gloucestershire (friends and family) and central London (work). Whether cruising the M4 or tackling a rural Cotswolds B-road, the Arona is perfectly happy and gets everyone to their destination in style, comfort and safety. Passengers quite often pose questions about the car and of course, I do my best to answer but one had me stumped recently. I was simply asked how much ground it had covered in the time it had been with us. A quick glance down at the odometer revealed that the distance we’d travelled that day was in the region of 100 miles but could I find the overall total? Er, no – and the manual didn’t really help either. Definitely time to go online and check out one of the many Seat forums that exist on the internet – and it wasn’t long before I discovered that the figure would be displayed on the dash if the active cruise control stalk to the left of the steering wheel was pushed forward as far as it would go. Interesting and maybe not something I would have thought of doing. Anyway, it worked! 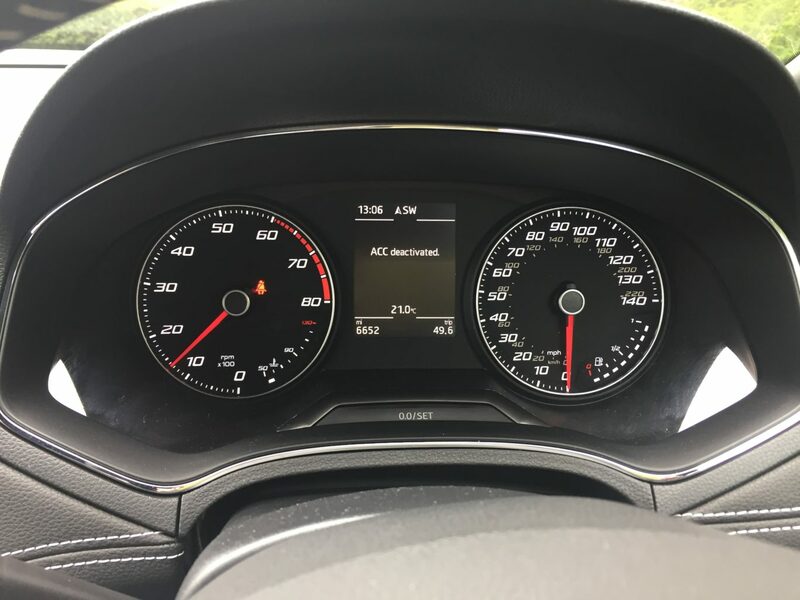 This month, I have really been appreciating some of the car’s stand-out features. Of course, they’ve all been there since its first day with us – and there are plenty of gadgets and gizmos, as befitting a top-of-the-range Xcellence Lux example. Tired of fumbling around for your keys when you have your hands full? An Arona can detect the key in your pocket and as soon as you reach for the door handle, it’ll unlock automatically. No need to put a key in the ignition either as you can just start the car at the touch of a button. To be fair, it’s a great system but to introduce a tiny niggle, the car does occasionally say it can’t detect the key when it’s definitely in the vehicle. This only usually leads to a delay of half a second or so, however, and definitely deserves a place in the ‘first world problems’ file. As a break from the normal routine, we’re out on a school night tonight, by the way. Grown-up daughter number one turns 26 today and we’ll be heading to the bright lights of Portsmouth in search of something to eat and drink in celebration. 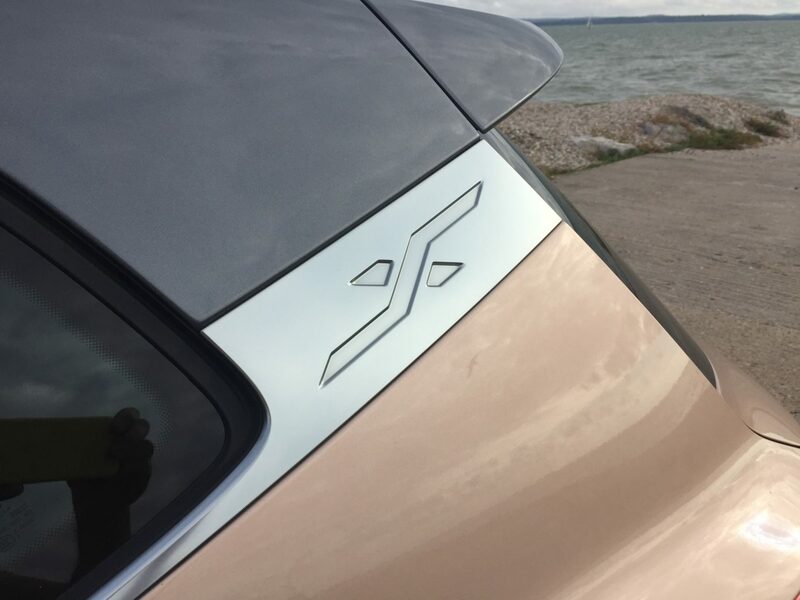 The Arona will be our vehicle of choice as it’s far more popular with younger members of the family than my wife’s ageing runabout. I’ll be behind the wheel so won’t be touching a drop, of course. 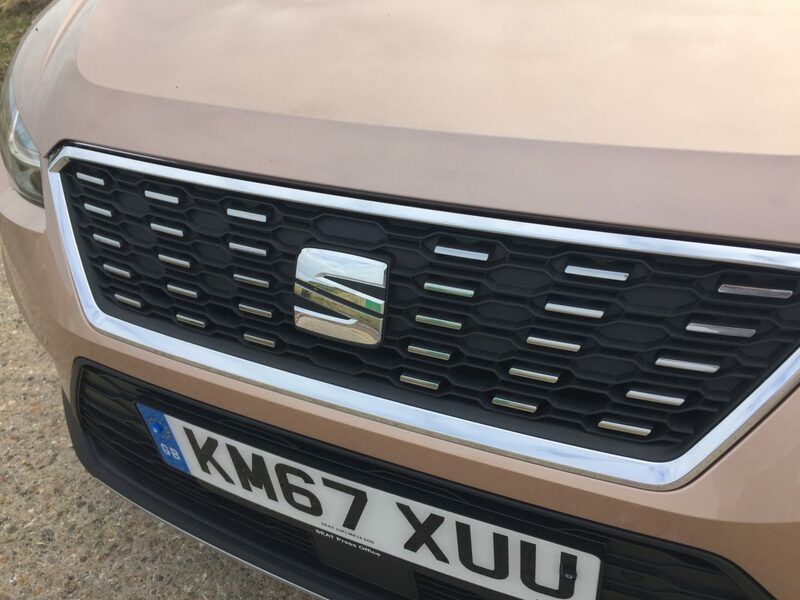 Those good people at Seat, however, should definitely enjoy a glass of sangria to celebrate what they’ve achieved with this car – if they haven’t already.